Knowing that you want to start your own business is the easy part. You get faced with the real hardships when it comes to trying to decide on what kind of business is best for you. There are so many different business ideas that you could work with; it’s often too hard to be able to make a choice. However, when you have a clear passion, like food, you can start to narrow things down. If you are a foodie and you know that you want your business to be based in the food industry, you may want to consider one of these five business ideas that could be perfect for you as a foodie. One of the most obvious choices for your foodie business would be to open a restaurant. 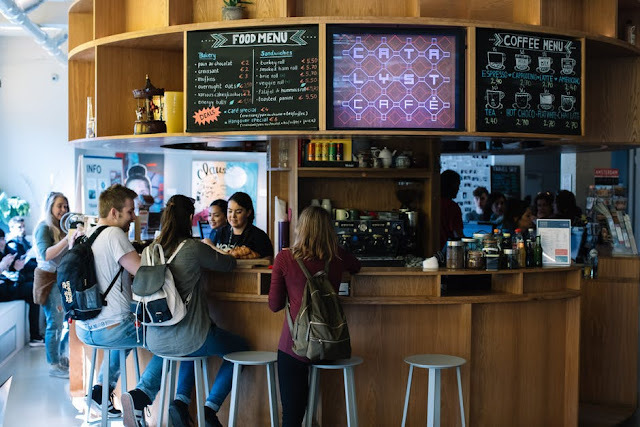 Whether you have experience in the restaurant industry or not, becoming a restaurateur can offer you great prospects and prove to be a profitable business if you’re able to approach it well. If you do have a background in business, you may find that an easier task to take on. It's also helpful if you have a creative side. When it comes to designing and creating a menu, it requires not only creativity but a mind for business. However, if you have no experience at all, you may want to try working in a restaurant first, or even take a course in hospitality management. Perhaps you’re a great cook, but you’re not ready to launch your own business on a large scale? When that’s the case, you may feel more comfortable with becoming a professional caterer. If it’s the food you’re interested in more than anything else, you may find that this is the perfect balance for you. You’ll still be able to cook, but you’ll own your own business, meaning that you’re more in charge of your own career, prospects, and finances too. If cooking isn't your thing, but you still love the idea of being in the food industry, you could consider getting into the supply industry instead. For this, you may want to look at what you’d need to get set up. If you want to supply meat or fish, you would need to be capable of handling a filleting machine or butchery. However, if you’re more interested in fruits and vegetables, you will need to know how to grow a good crop and ensure that it's profitable. When you’re more interested in drinks than food, you may want to think about opening your own bar. Becoming a landlord or lady can be a great business venture, especially if you’re interested in opening a chain of places. However, you will have to be comfortable with the initial outlay you need to make to get the bar up and running. Finally, you may also want to think about working with a mobile business. Right now, food trucks are doing well. So, you may want to think about starting a food truck. If you can cook, or have a business partner that can, and you’re great with marketing and selling an idea, you may want to think about starting a good truck that could go down well around your local area. The startup costs and overhead are significantly lower and the financial risk is reduced. Take one of these 5 paths to starting a successful business in the food service industry and execute! It's a competitive space so pick what you're passionate about and produce the best product! I hope you enjoyed this article about successfully entering the food service industry as an entrepreneur.